If you don’t have a Roku yet, you should by now. It’s cheaper than an Apple TV, Boxee Box, and a WDTV and does more than most other media players that turn your TV into a “smart” TV. Some of you have been waiting for an appropriate media player for the Roku that can play just about anything you throw at it. Well it’s finally arrived… in the form of Plex. For those of you who own a Roku, you probably noticed a brand new channel posted in the Roku channel store recently – Plex. You probably didn’t give it much thought, or you noticed that you had to install something on your home computer/server before getting to use it – so you didn’t. That was a mistake. 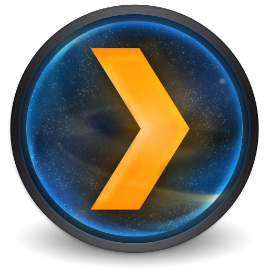 You should install Plex on your computer right away and get started. 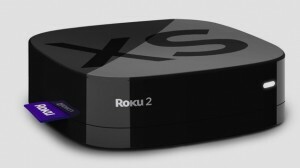 The Roku Plex Channel is updated frequently and has been improved greatly in recent months. Also, the Plex server was originally BEST on a Mac, HOWEVER this has changed and a lot of work has been put into the Windows version of the Plex Server (currently 0.9.6.2). Also, it’s FREE! Local Video/Music/Photo manager for your Roku to stream from your server/computer. Many of these content providers you add directly from the Plex channel on the Roku. Of course, this is after you followed the ridiculously simple Plex Server setup on your home computer and have updated your Silverlight and Flash plugins. 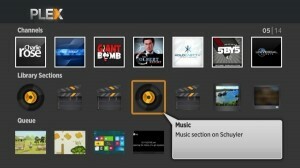 Plex is updated openly from public developers and, for now, is Free. Also, it allows public developers to develop their own channels, which contributes to its great libraries. ost content listed above is only in SD (HGTV, Food Network), local media could only be streamed at SD as well. As far as Playon goes for the Roku, it’s a miss by comparison to the Free HD streaming Plex Media Server. Also, you can buy the Plex channel for iPad/iPhone for about $3 and use your wireless device to stream content. As for now, this is the only purchase necessary for Plex benefits outside of the Roku. I should also note that, even though Hulu is a channel on Plex, it’s maintained by independent developers. Hulu has always been elusive for third parties (such as Boxee and others) to stream and manipulate Hulu videos. Plex is not different. You won’t see HD quality or too much stability in the Plex Hulu plugin, considering that Hulu actively works to prevent this sort of streaming. I still recommend using Roku’s Hulu+ service instead as it is way better and still cheap. So if you’re wondering how to get other online content on the Roku, go with Plex. Any links to a set-up guide for new Roku users? Roku is awesome the best thing i did was cut cable and buy a HDTV antenna and Roku you get most everything however you need to set it up and it take awhiile to get it to your likeing get plex which links your pc with roku and give you most channell that you mostly want and miss you might not catch some of the shows live (as they play) like a dvr you can go later that day or the next and watch without any commercials even better than Dvr you do not have to fast forward threw commercials its allready done i do not have any pay channels and there nothing i feel i am missing if you want to watch the prime time shows abc/cbs/nbc/ fox as the shows play out on normal time you need to pay for hulu and you can if you dont mind being a little up to a day late download plex and you can watch all that for free hopefully this will help a few that trying to firgue out roku..